Online tee times are not availabile for Oporto Golf Club. 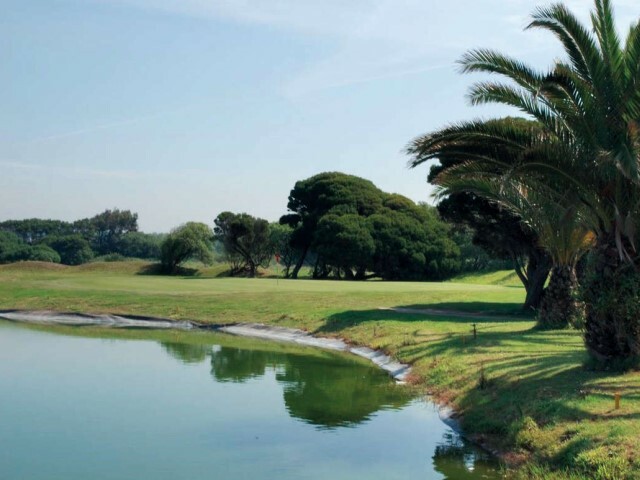 The Oporto Golf Club Course is a 18 hole course located just south of Espinho, which lies to the south of Porto. This Oporto Golf Club is definitely one of the originals in Europe and the owners are bound in tradition and style. A group of the old British resident families trading in port wine founded the club in 1890. The oldest golf competition in the world is played every year and its name is the Skeffington Cup that was first inaugurated in 1891.The layout of the course provides narrow fairways and it is today relatively short in length at 5,556 metres as against the ones that are now created. The two holes on the Oporto Club Course that are considered most interesting as a challenge are the fourth and the eleventh. The fourth is a Par 4 of 390 metres and the eleventh is a Par 5 of 497 metres. A player has a chance of scoring a birdie of both the ninth and eighteenth holes. Very pleasant links course. Staff were very helpful and friendly. Not the most picturesque course but technical and tight. Don't take your shot when you hear the bells ringing as train is about to pass and it can be very noisy!! Overall well worth a visit if in Porto area. To post a review, score or a notice on Oporto Golf Club page's or to connect with other Oporto Golf Club golfers, please log in to your account or sign up using Google or Facebook.